Life with Lynnie: Oops... Sorry, Dieppe! 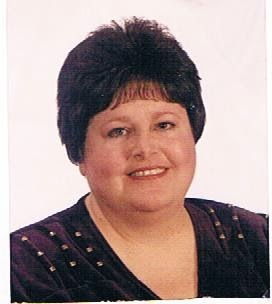 Here on Life with Lynnie (LwL), I try to post about special issues, whenever I can. And, I try to focus on celebrating historical events that have affected our lives. Unfortunately, I missed doing this, yesterday. I should have discussed Dieppe, France. Here's a link to read about Dieppe: http://en.wikipedia.org/wiki/Dieppe. When my now deceased husband Gordon was still alive, we visited France a few times. Once, we visited Dieppe. Gordon wanted to see Dieppe, because an uncle of his, participated in the Dieppe raid. The date was August 19th, 1942. Here's information for you to check out about the Dieppe raid: http://en.wikipedia.org/wiki/Dieppe_Raid. If you opened that link regarding the Dieppe Raid, you'll be aware that it was known as Operation Rutter. To most of you reading this entry, you probably won't understand why that was important to me. No, I did not have a relative who participated in the Dieppe Raid, as Gordon did. However, the name Rutter is important to me. It is one of my family names. When I first heard this, I actually wondered if I had a family member who participated in this WW2 event. But, I didn't. It surprised me that there wasn't much to see in Dieppe, regarding the Canadian allies. Although, I must say there is a small park that honours Canada. In a past LwL entry, I posted pics of the park. It was surprising to me that not much was honouring to Canada, because so very many Canadians were killed during that raid. Or, were taken prisoner of war. However, our Canadian Broadcasting Corporation (CBC) news confirmed that a monument is now located, in Dieppe. Here is a link, to a CBC article entitled, Monument to honour Battle of Dieppe casualties: http://www.cbc.ca/news/canada/windsor/monument-to-honour-battle-of-dieppe-casualties-1.935112. This monument was erected a while back, but not until after Gordon and I had visited Dieppe. Gordon's uncle was not killed, during the Dieppe Raid. He made it ashore. This was surprising to both Gordon and I. You see, most people aren't aware the situation at Dieppe. Yes, there are high cliffs. German army bunkers still exist, there. Just as they do in many places along the coastline. However, most people are not aware that the beach was not sand. It was and still is... rocks. Slippery, smooth rocks cover the beach. Gordon filmed early in the morning, what it must have been like to have tried to cross the beach. 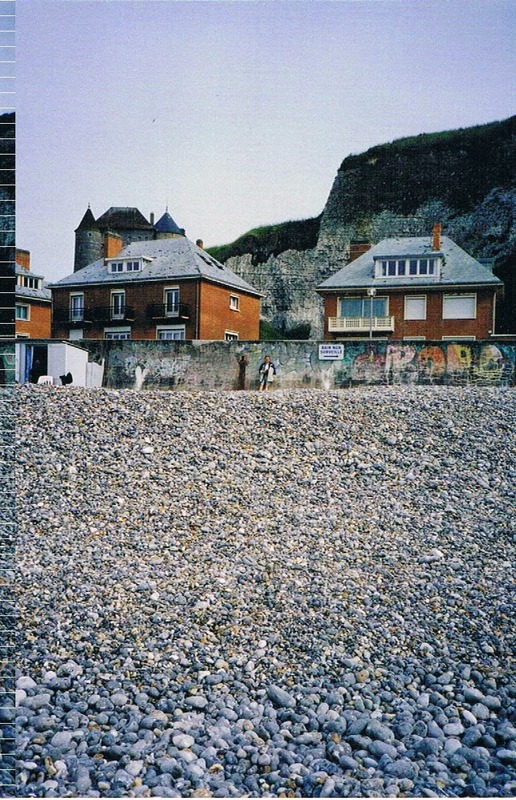 This is the stony beach at Dieppe (our snapshot). When it is wet, it is so slippery that many people fall on it. Still, I praise God that these relatives lived through the terror of WW2. I feel badly that I did not attend a memorial celebration held here in Windsor, at Dieppe Park, yesterday. Here is a Windsor Star link to an article entitled, Local soldiers and supporters gather to remember the Battle of Dieppe: http://blogs.windsorstar.com/news/local-soldiers-and-supporters-gather-to-remember-dieppe. I pray God will bless those, who did attend. It's certainly not easy, living through any trial in life. Not for them, during WW2. And, not for you, or me, or anyone suffering, even today. Thinking about people suffering with trials in their lives, reminded me about what God told us about situations like this. Just as He did, in 1 Peter 4:12, "Beloved, think it not strange concerning the fiery trial which is to try you, as though some strange thing happened unto you:"
God told us in this verse, that we would experience fiery trials, in our lives. He also explained that we should not think of these trials, as something strange happening. Every person who belongs to Him... who is His child, will go through trials. Fiery trials. Please understand. God may allow us to go through trials of various kinds. However, He does not create the trials. Some trials are created by choices made by man. Whether this is the case or not, doesn't really matter. For most are made by Satan. Sometimes directly from him; sometimes through people who belong to him. Who is he? Satan, is the father of this world. Satan, does his best to prevent people from coming to Christ. The sad thing is, that anyone who is not being attacked by Satan, is probably one of his children. After all, Satan doesn't need to attack his own. He only attacks those who belong to Christ. So my friend, if you are going through a trial or a horrible experience, realize that you are being attacked, by Satan. If this is happening to you, what should you do? Trust in our Lord! He will lead you through. And, will never leave you, nor forsake you.